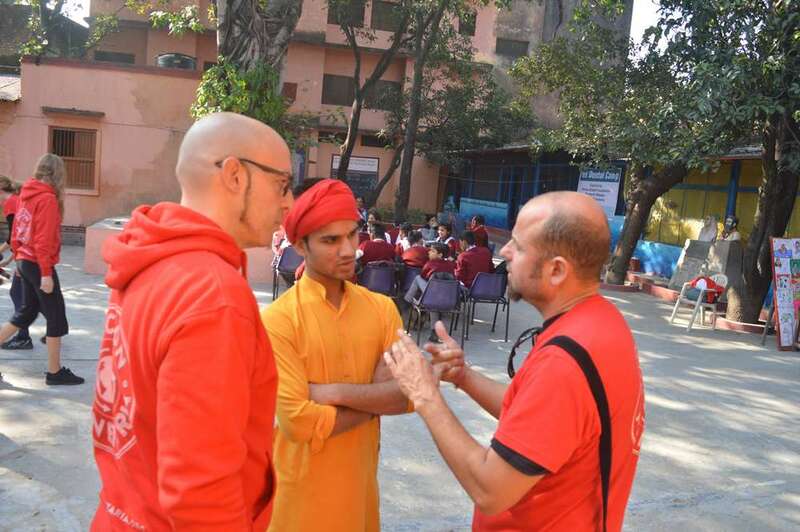 DSF, Parmarth Niketan & Accion Planetaria Team Up Again! 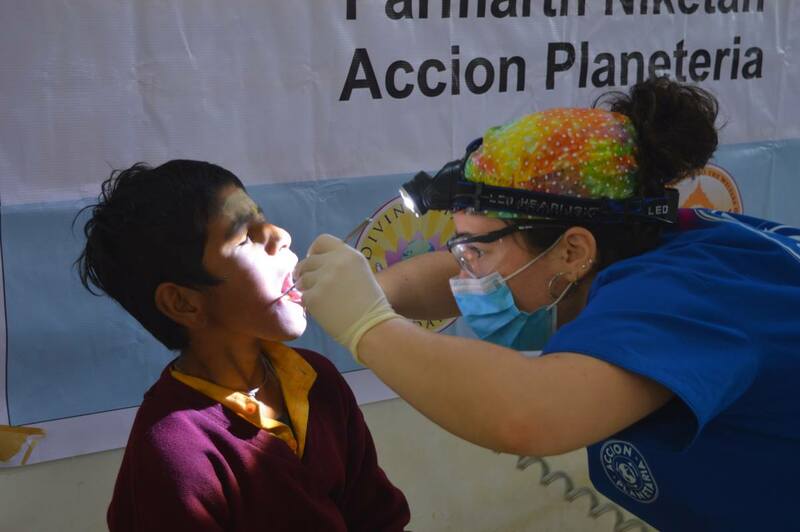 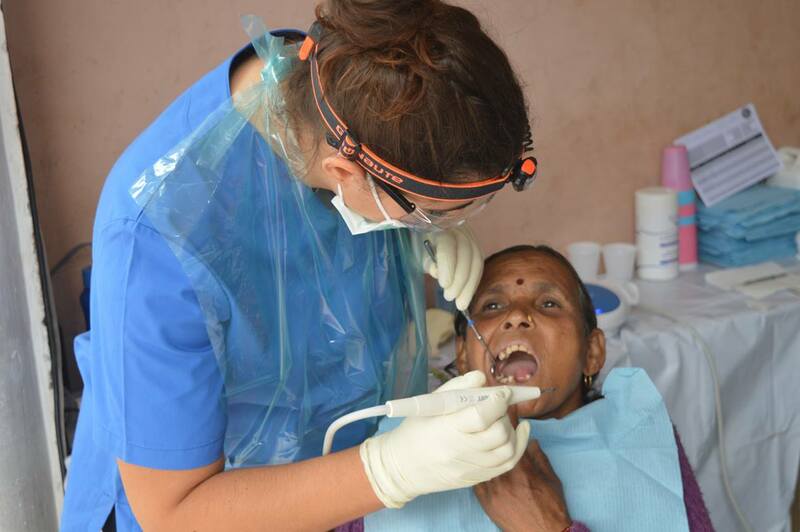 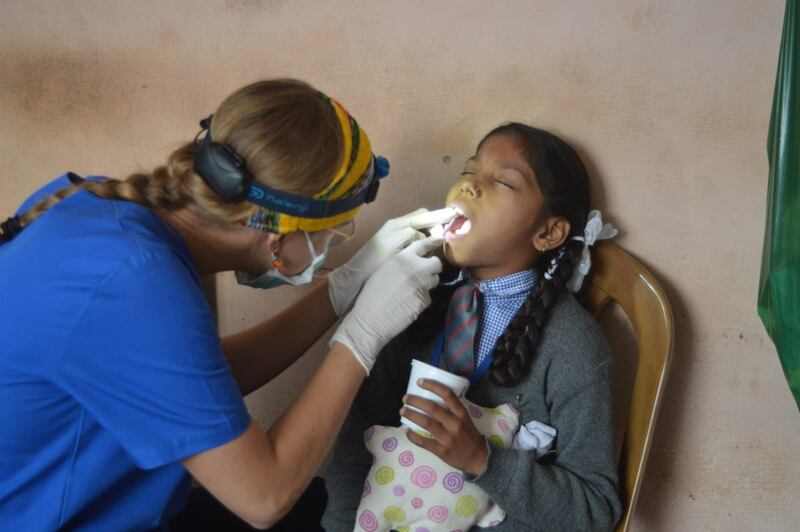 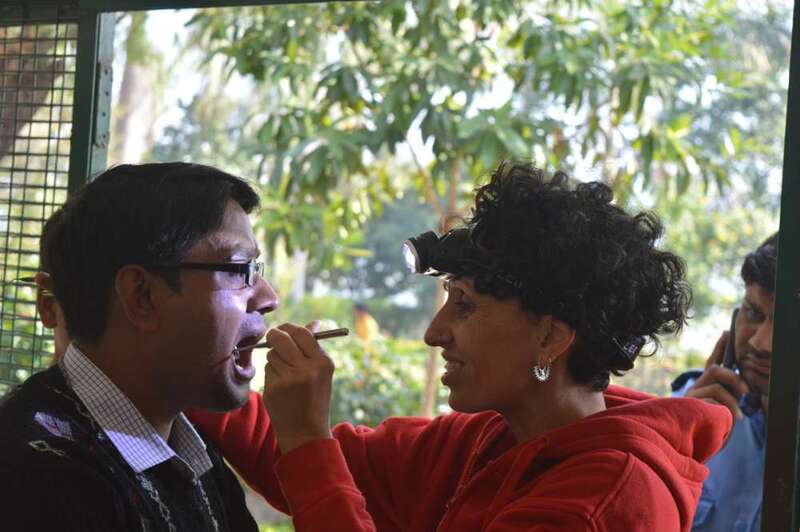 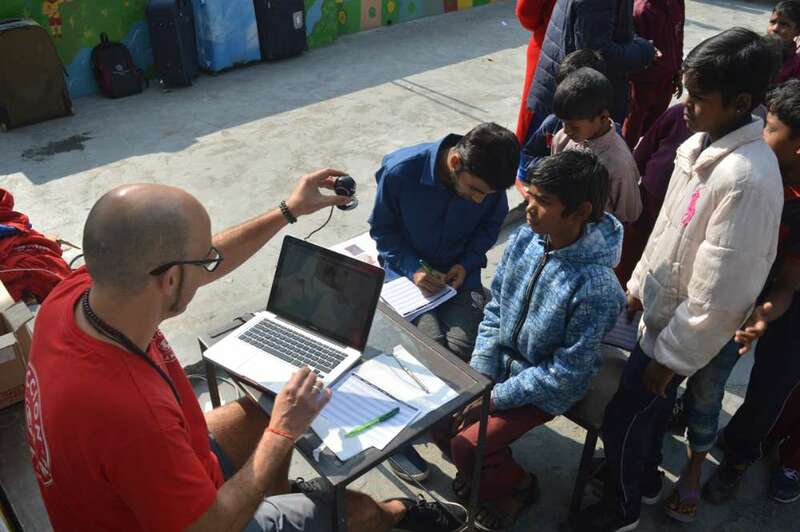 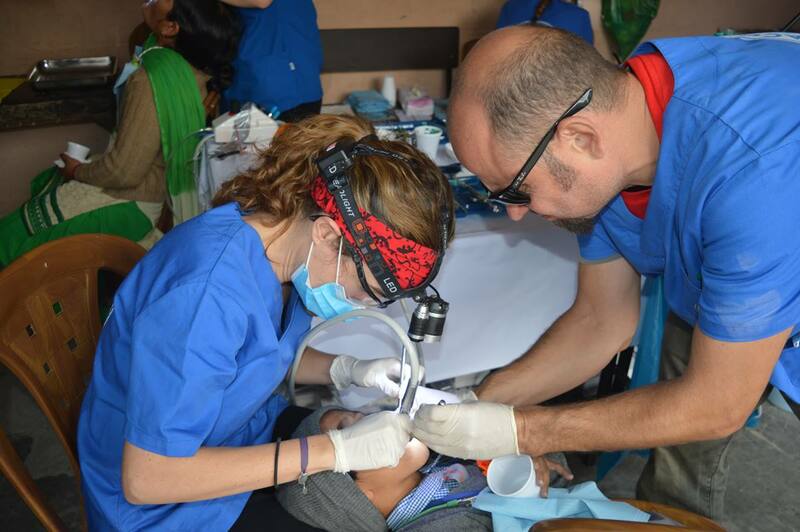 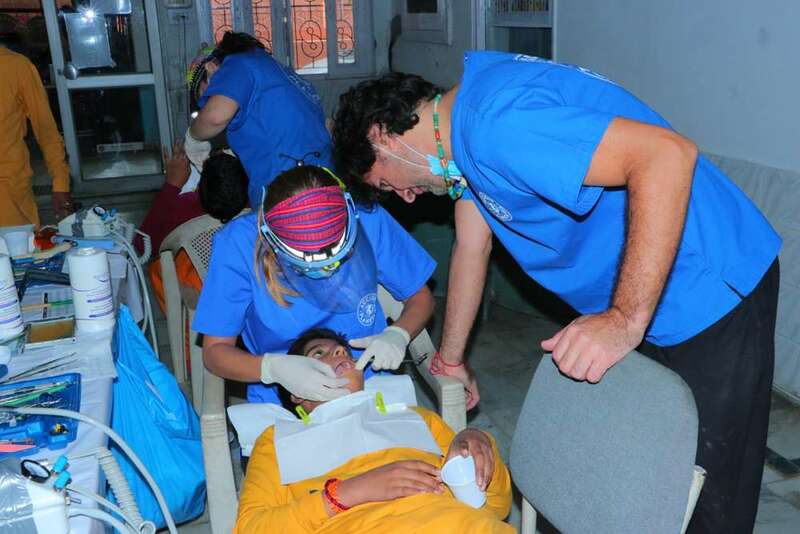 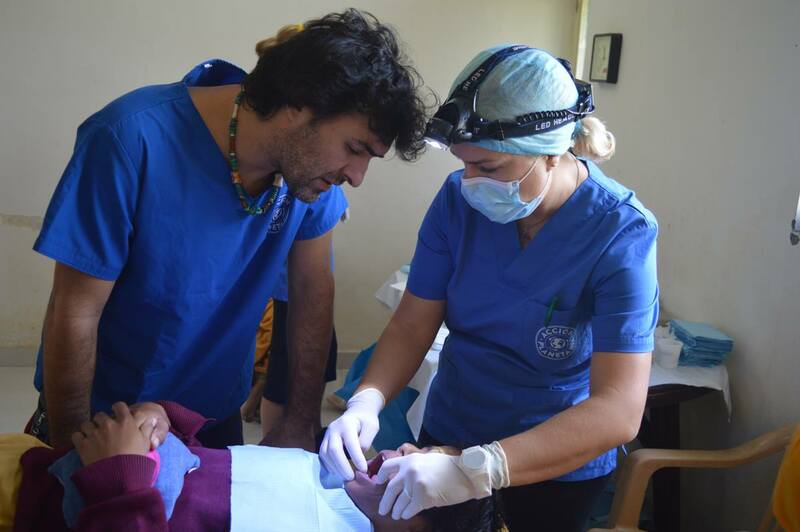 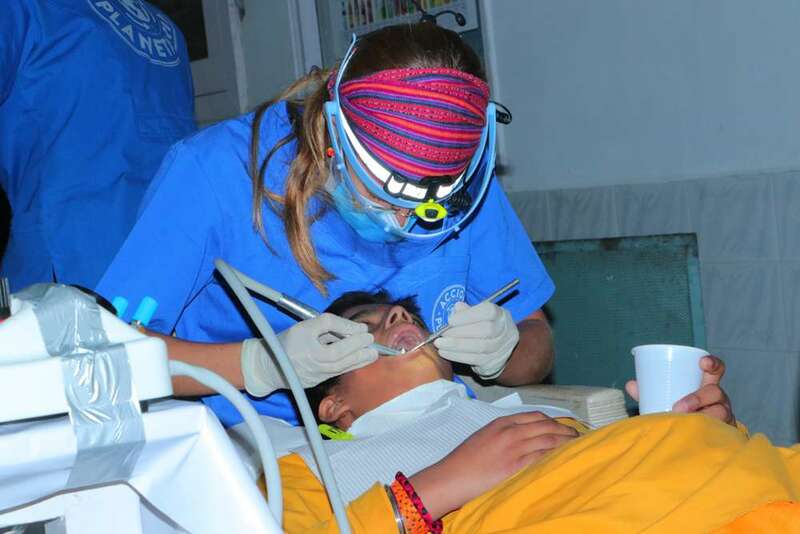 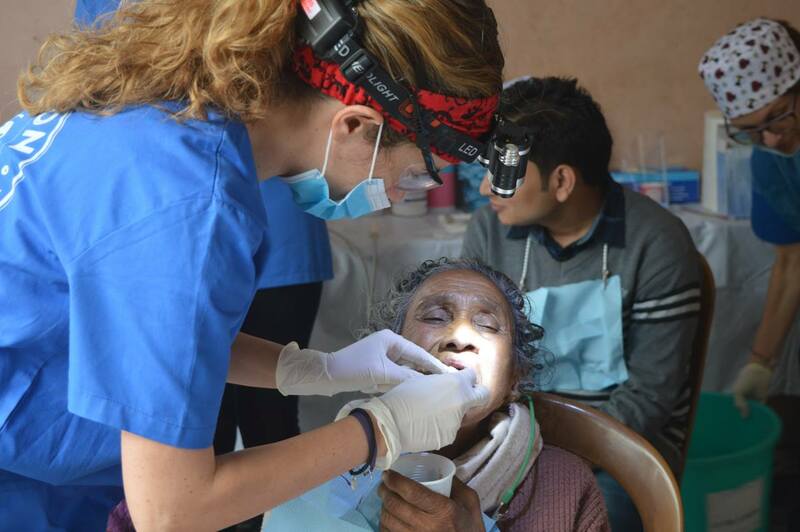 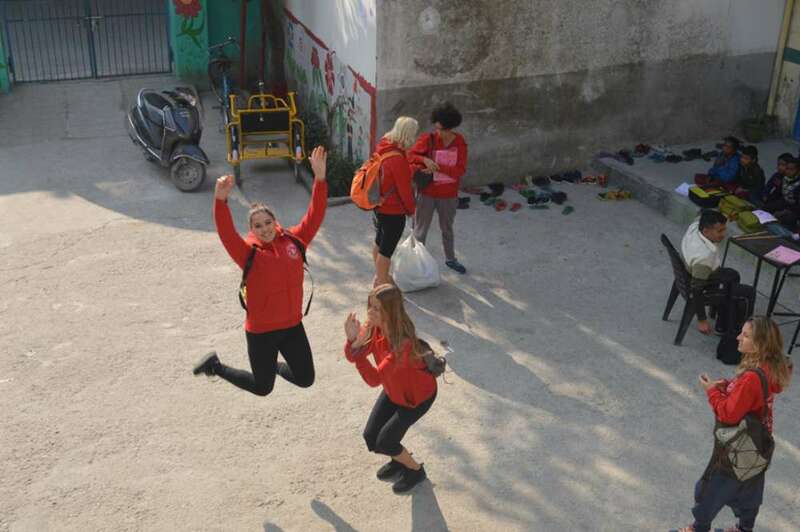 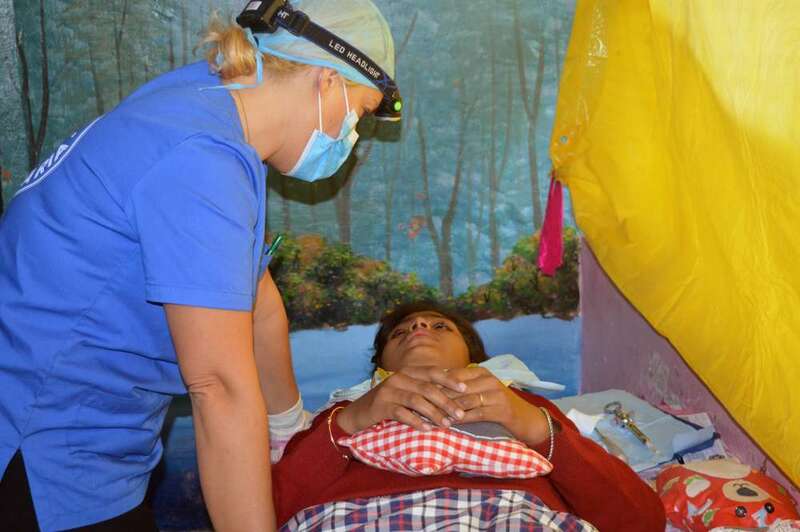 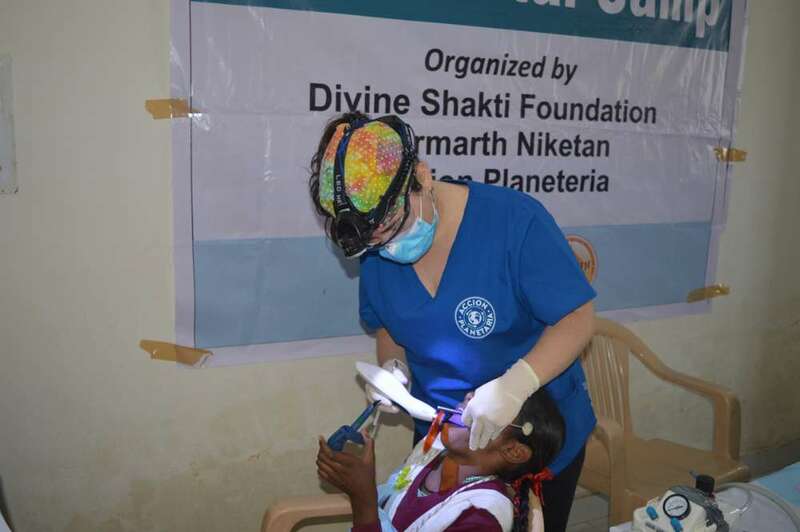 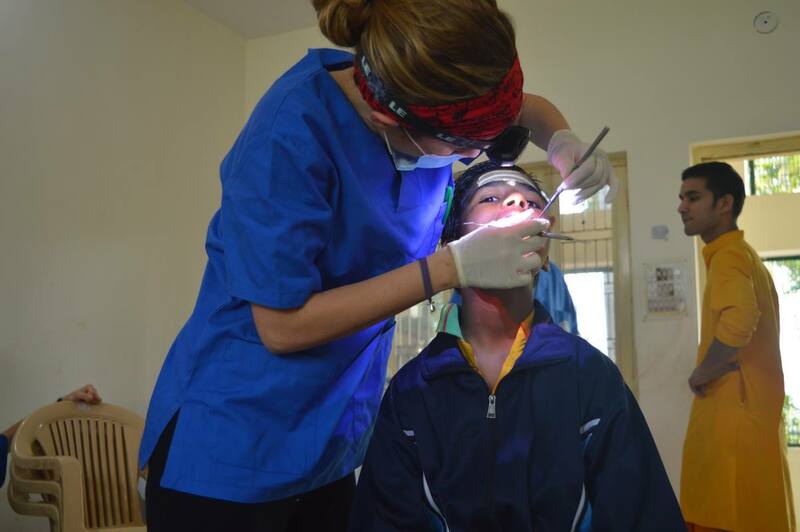 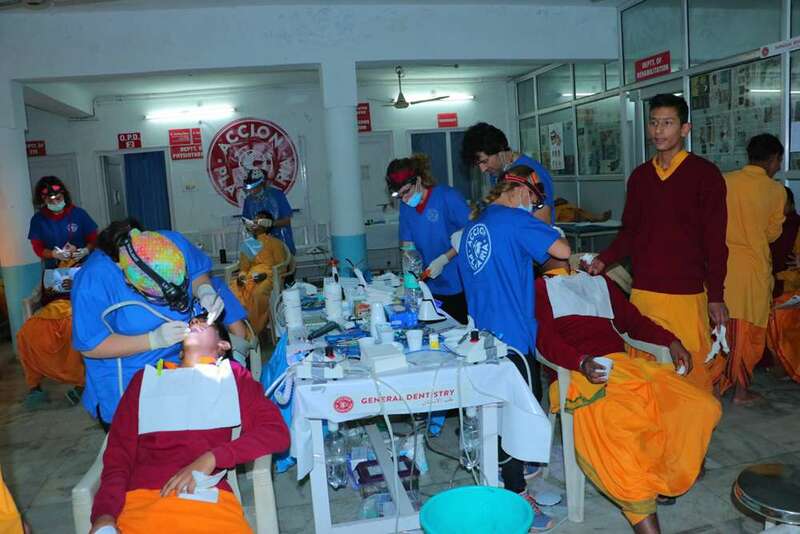 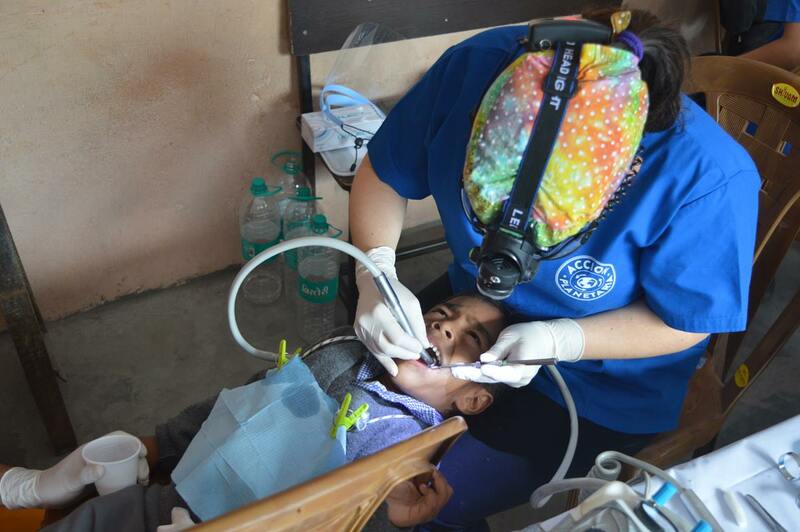 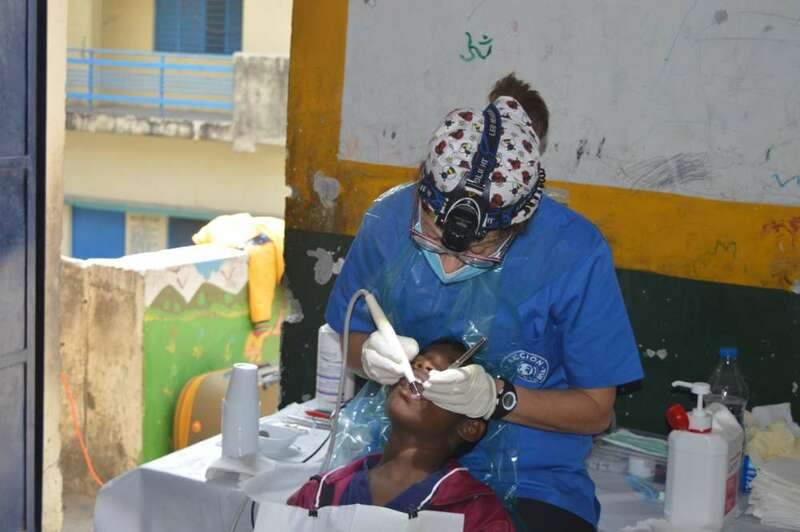 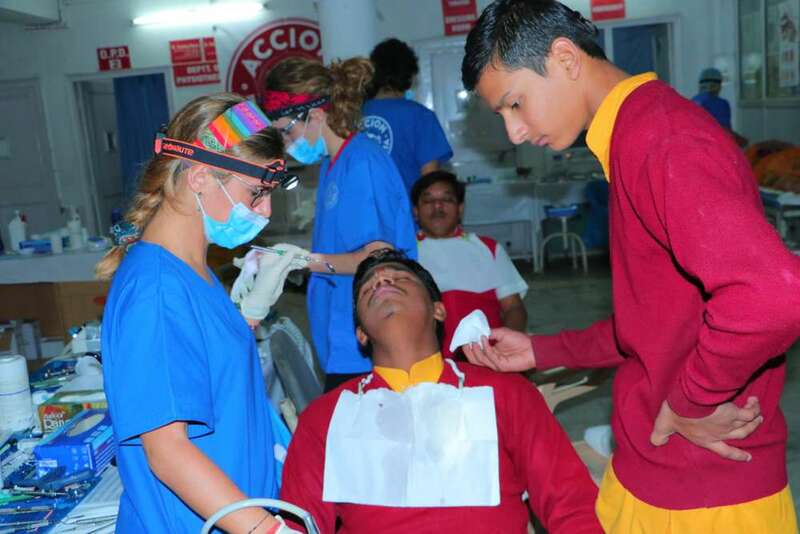 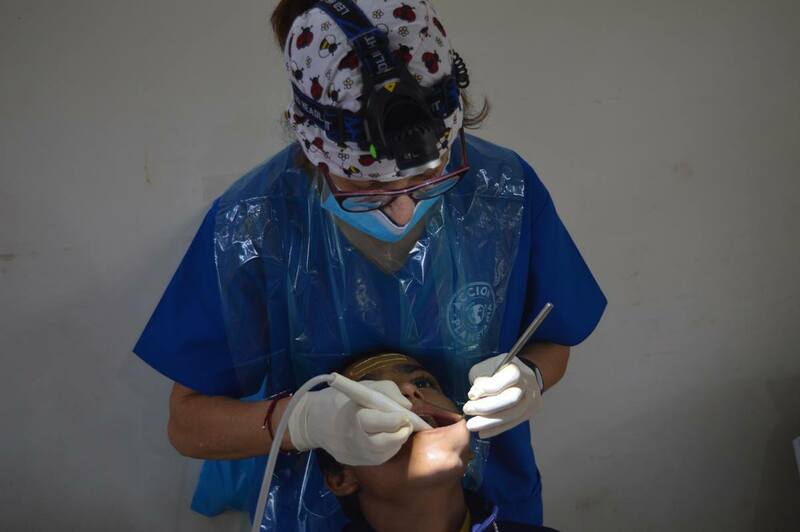 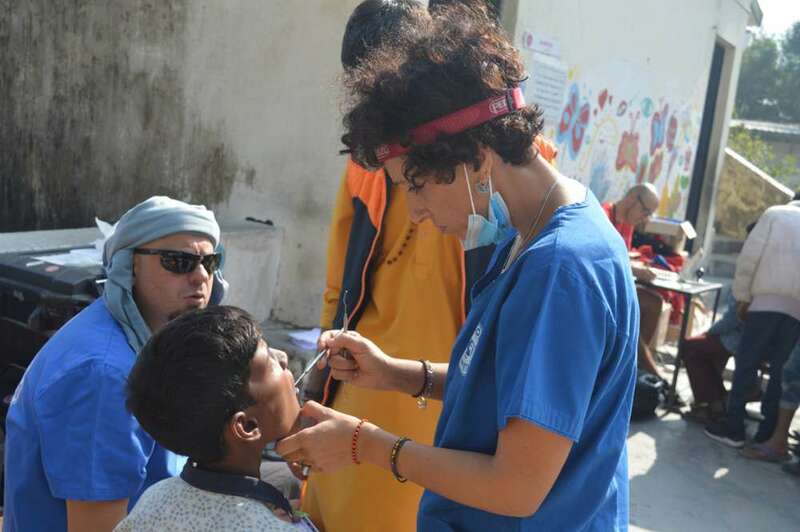 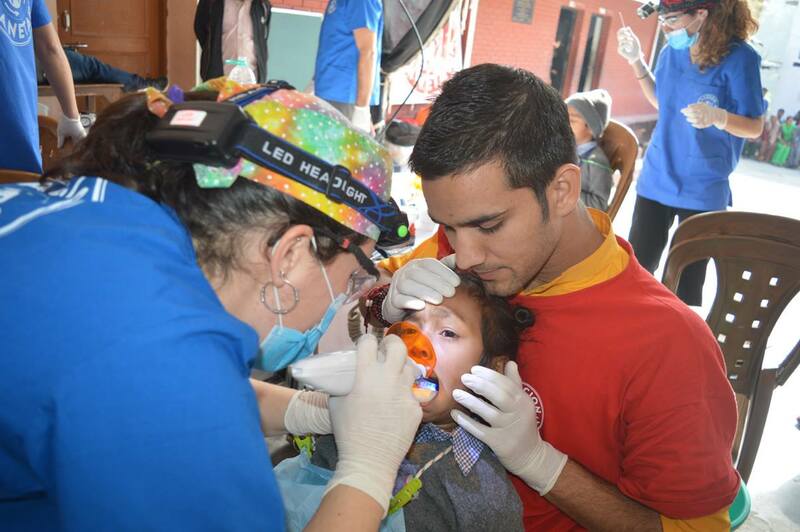 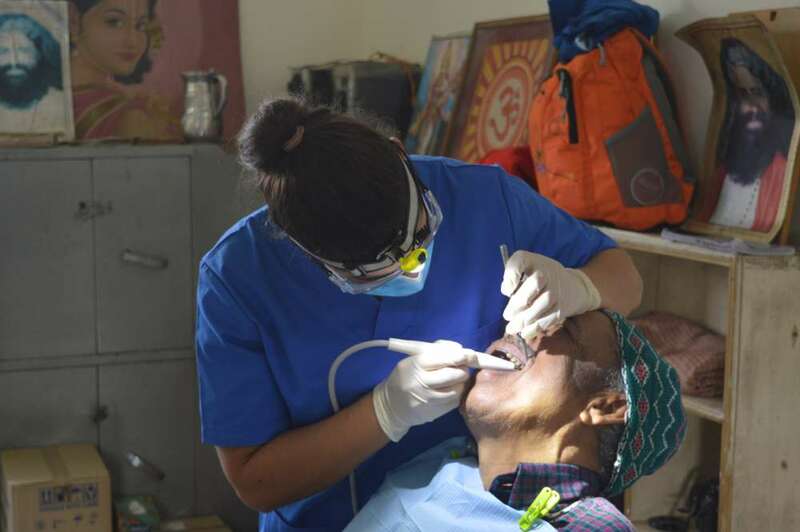 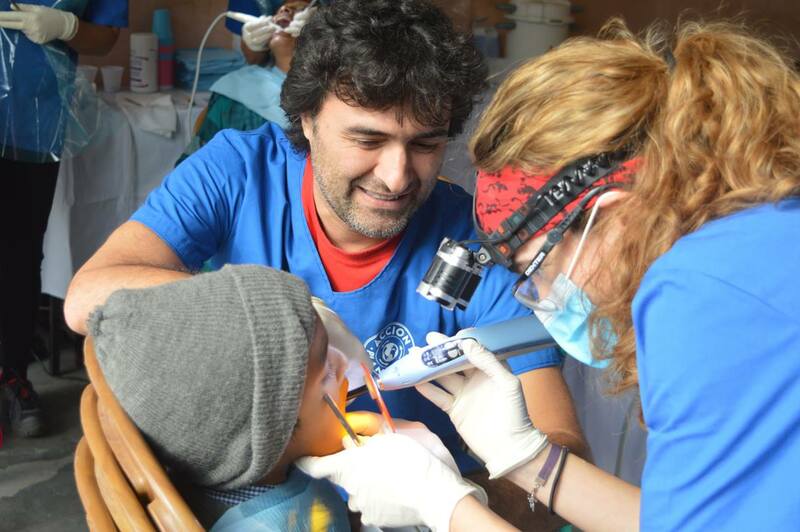 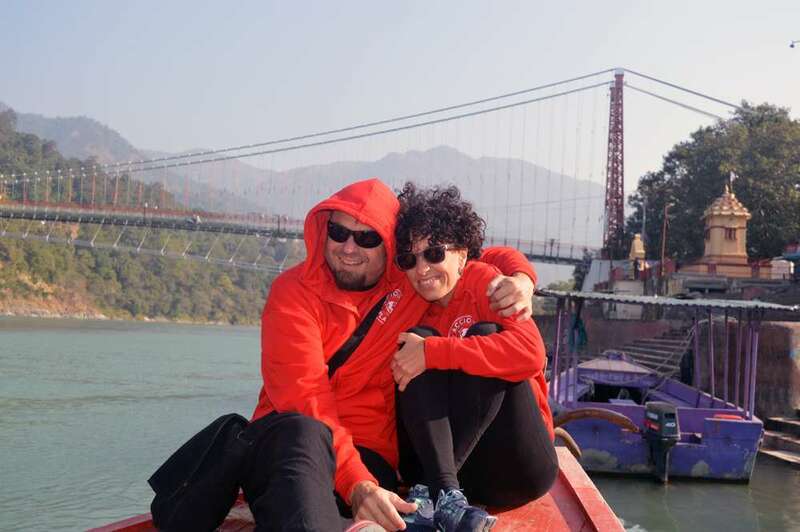 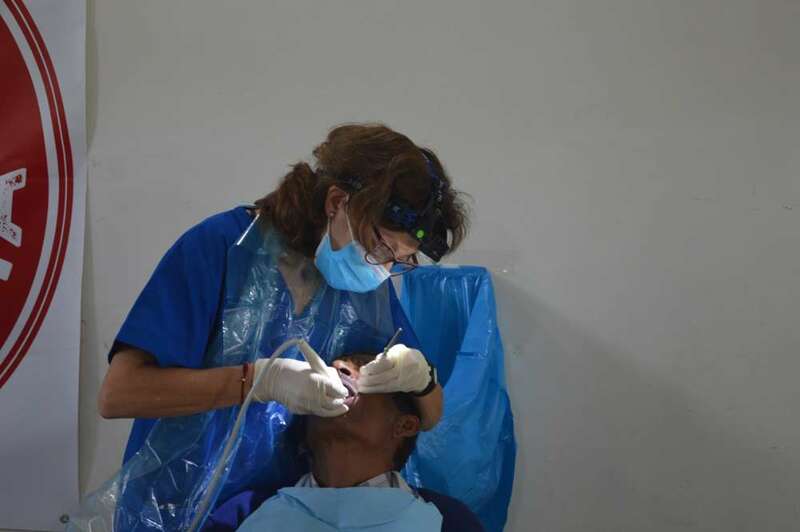 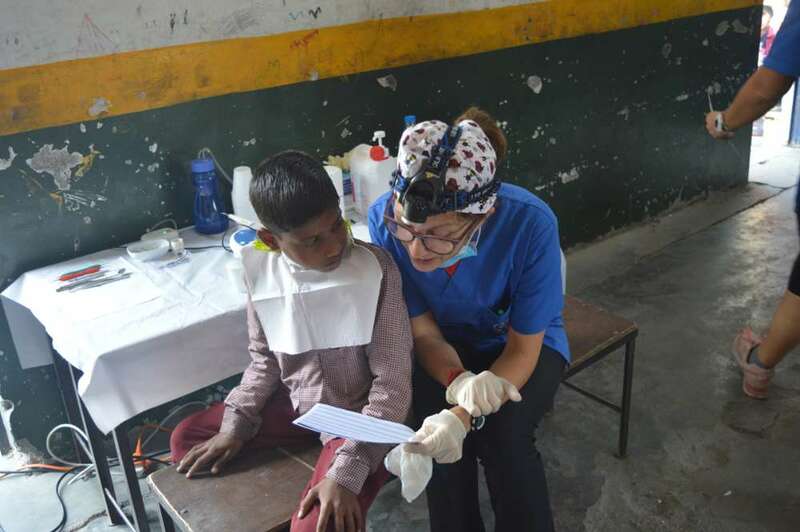 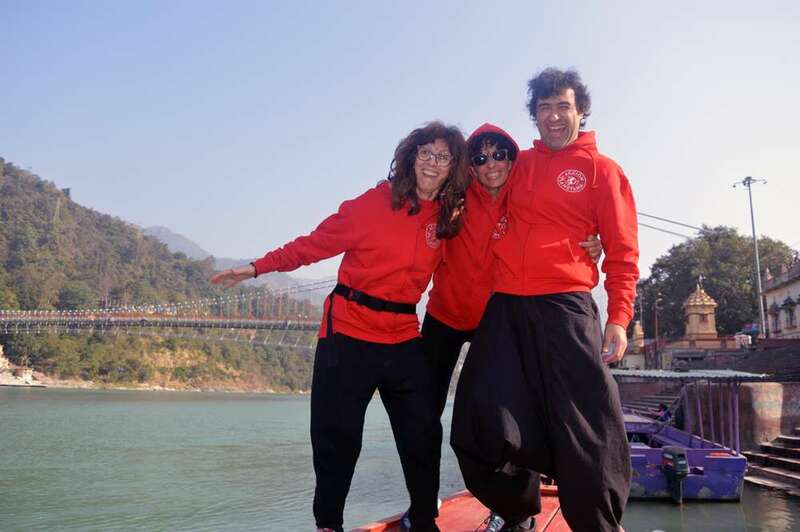 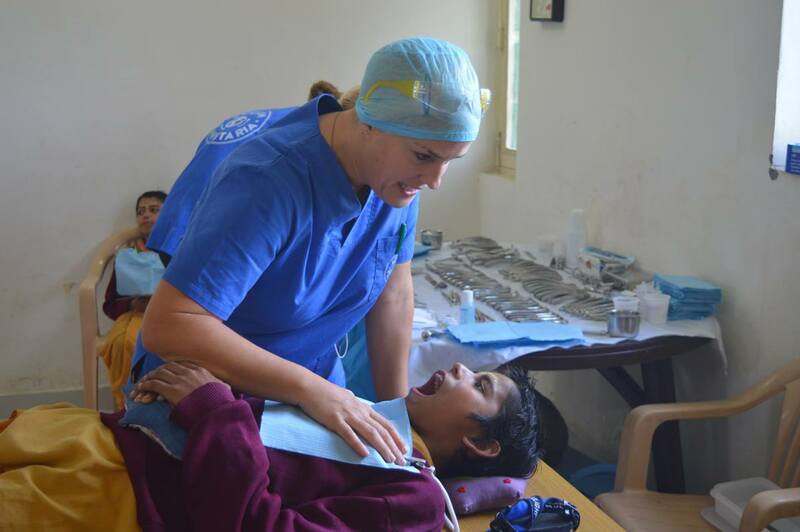 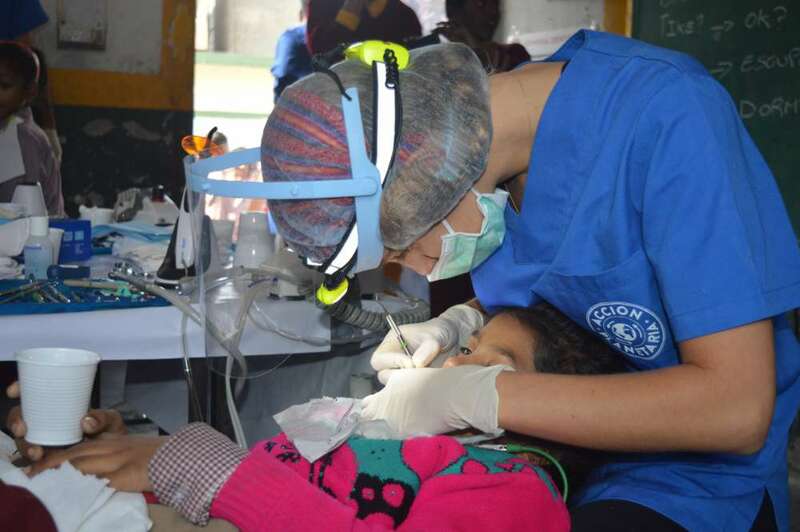 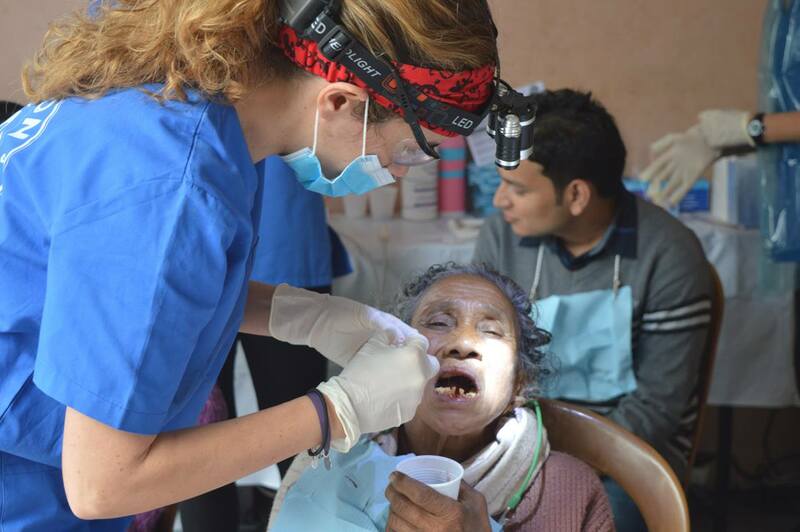 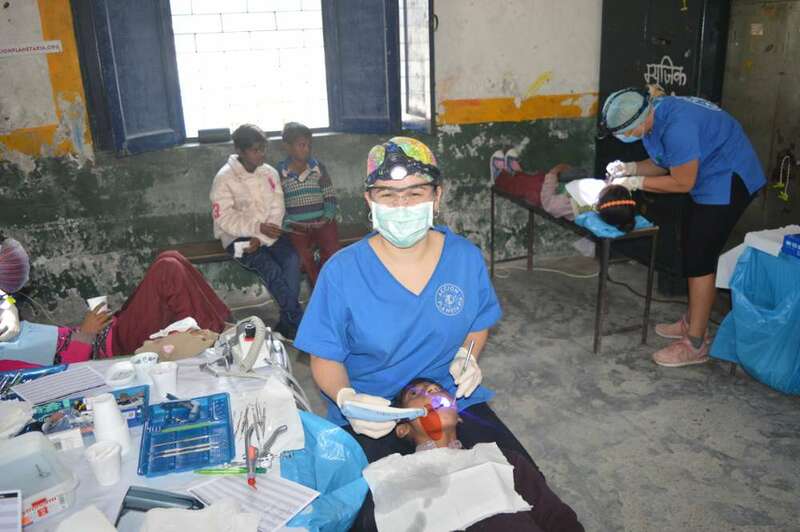 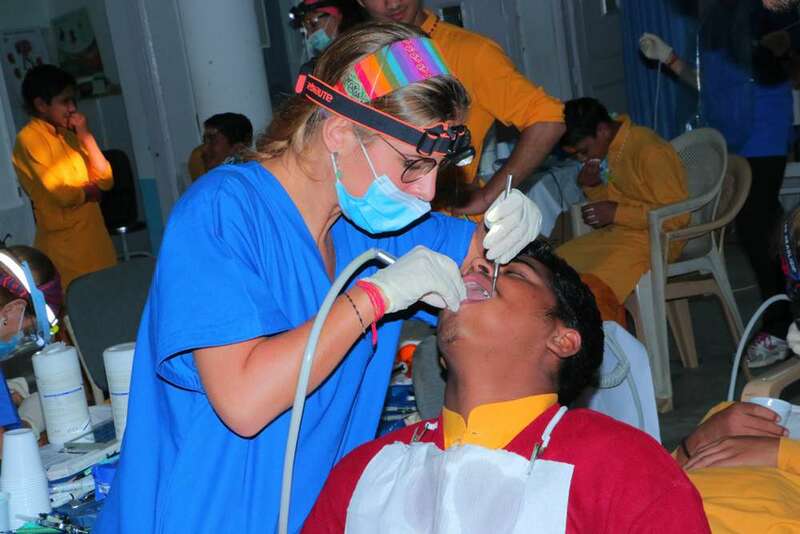 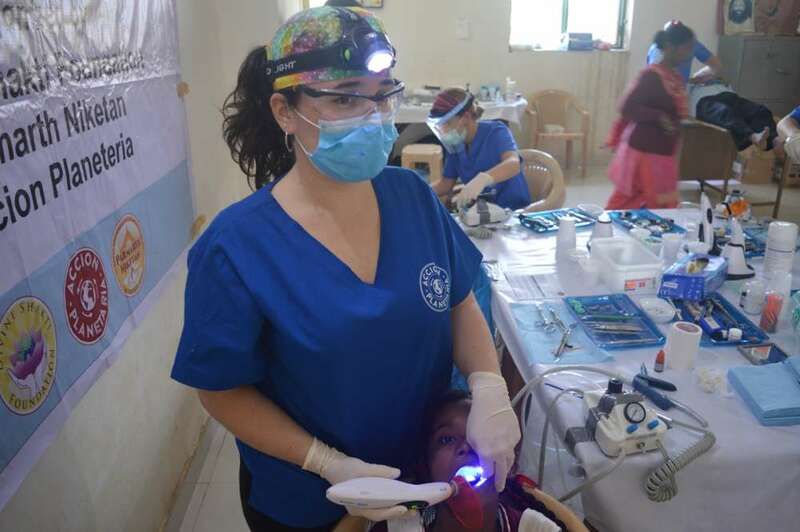 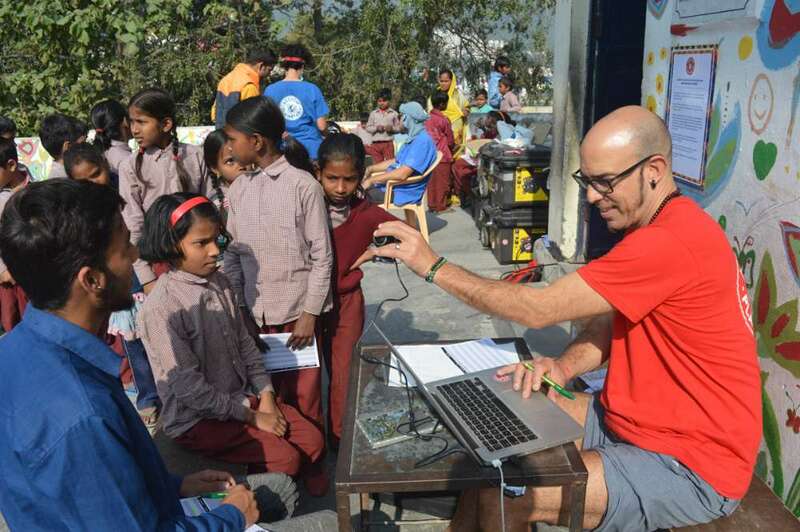 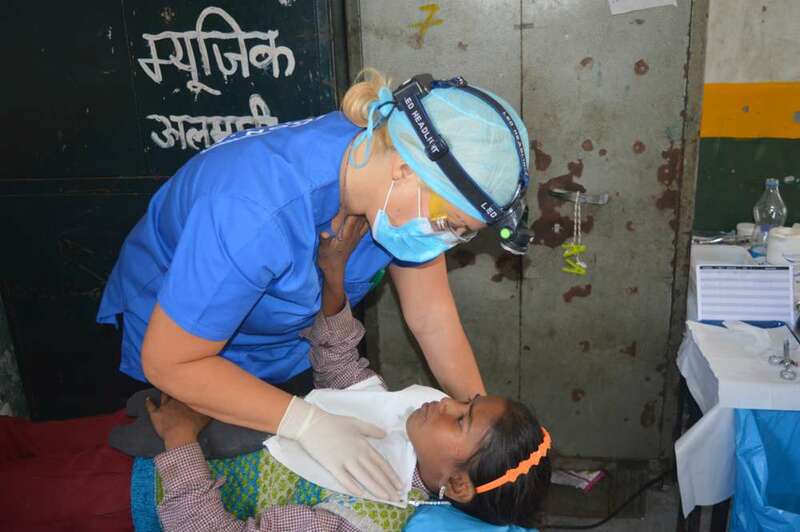 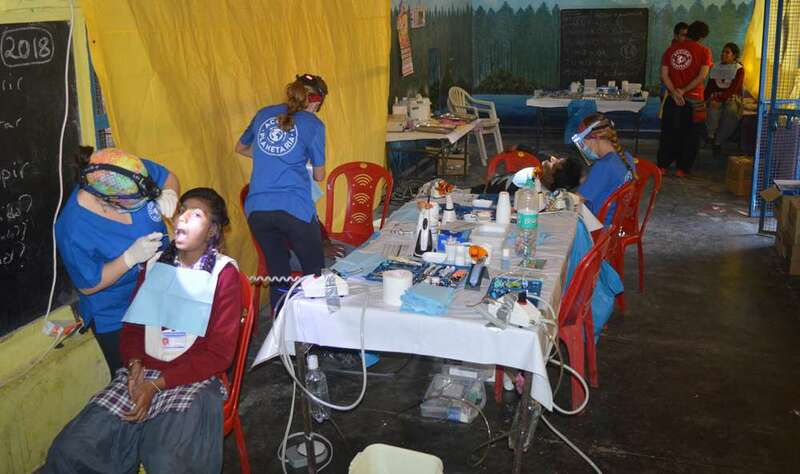 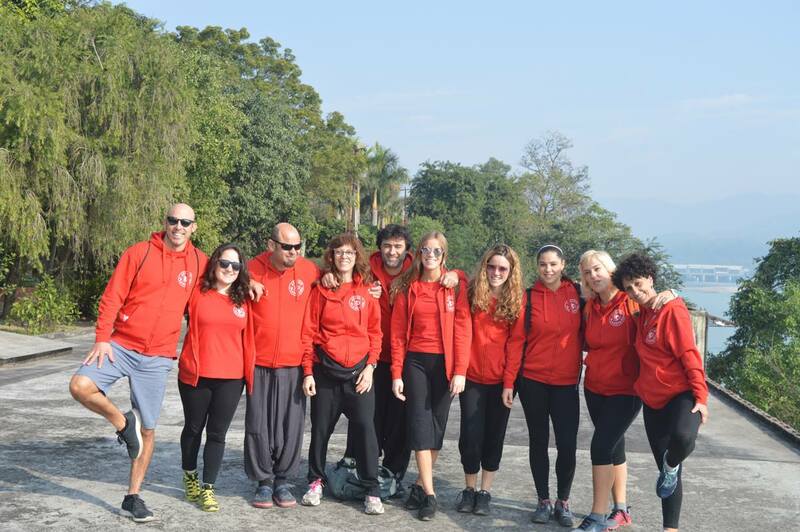 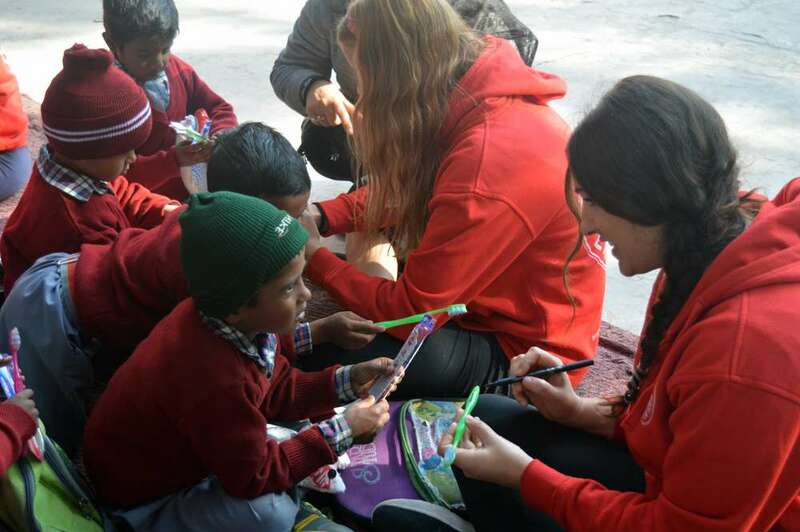 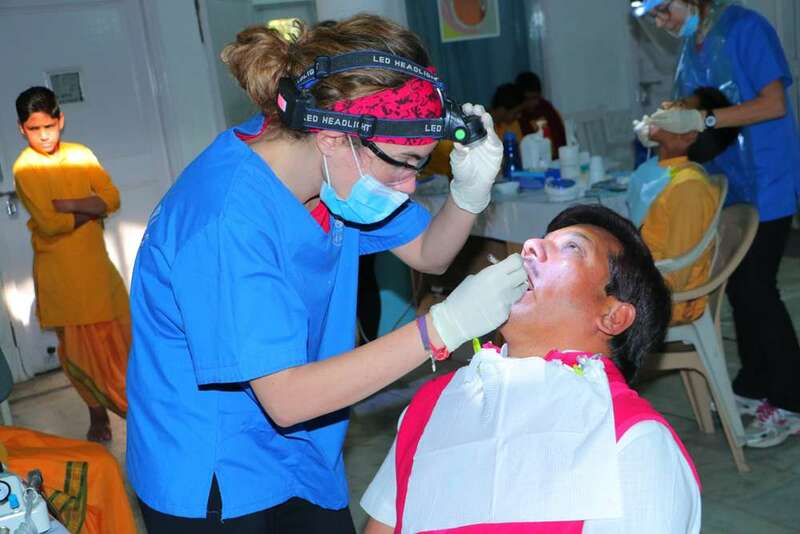 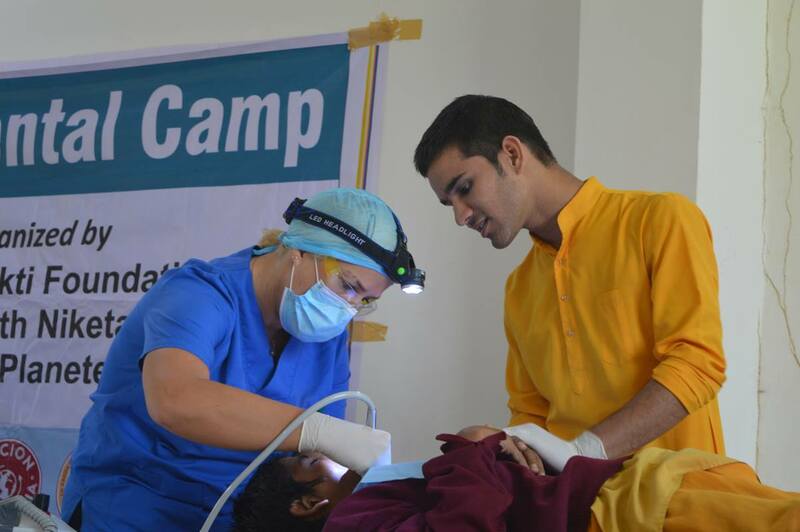 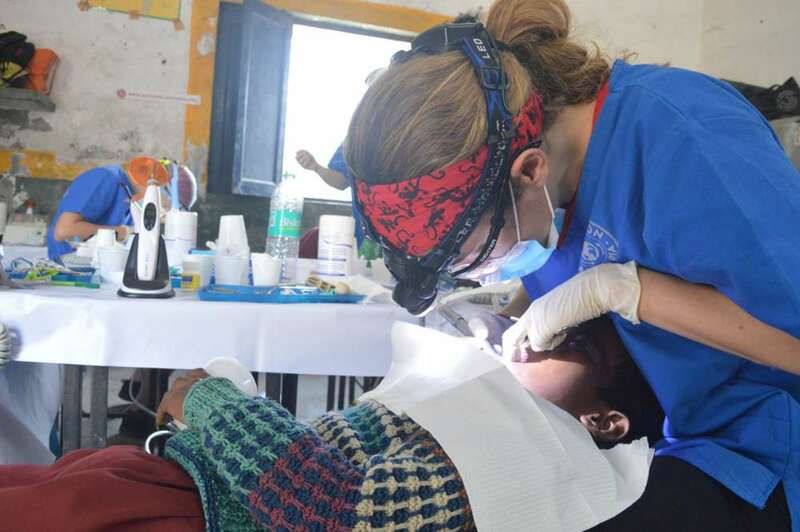 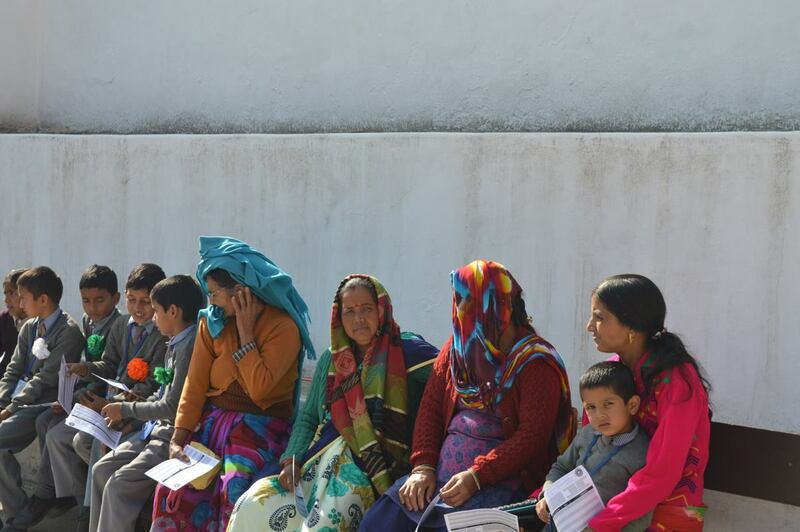 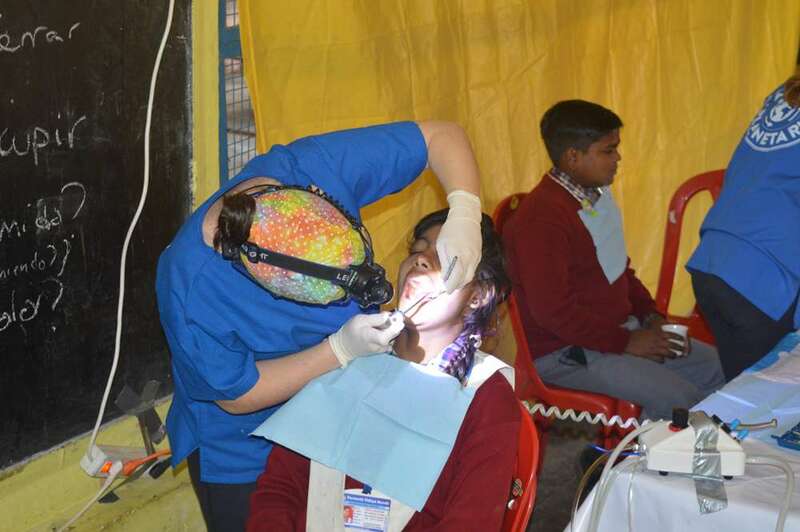 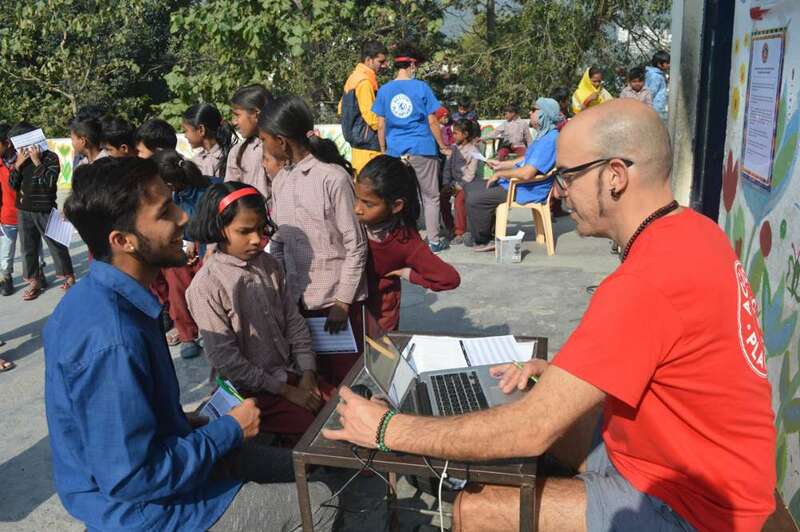 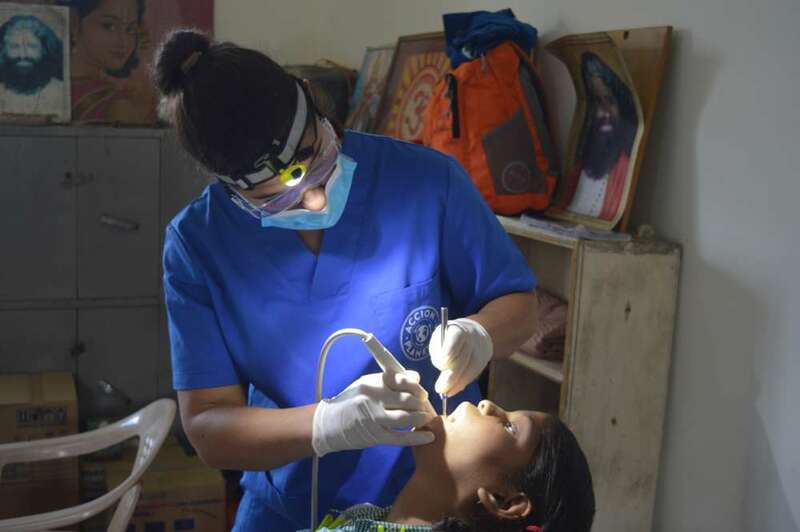 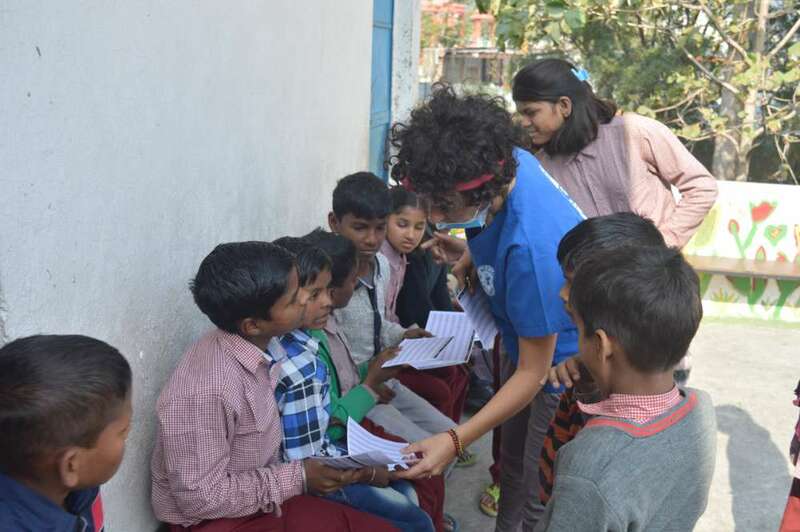 A team of dentists from Spain is once again offering dental treatment to people from villages and schools around Rishikesh, India, from 27 November – 6 December 2018. 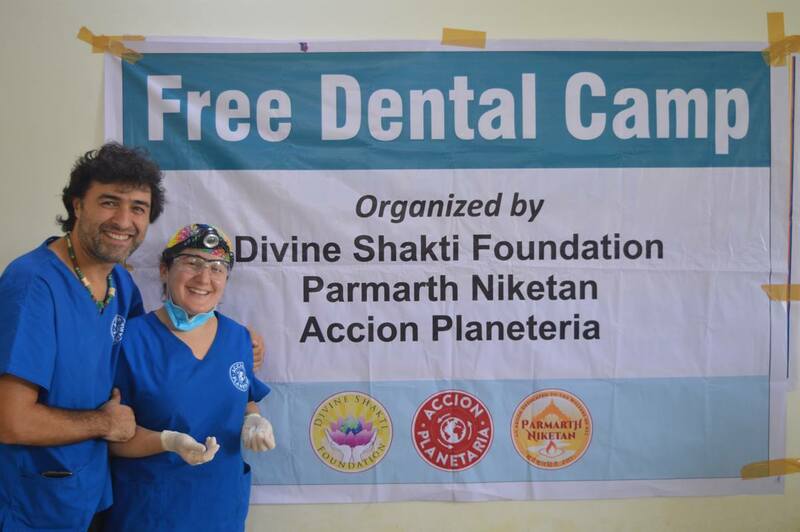 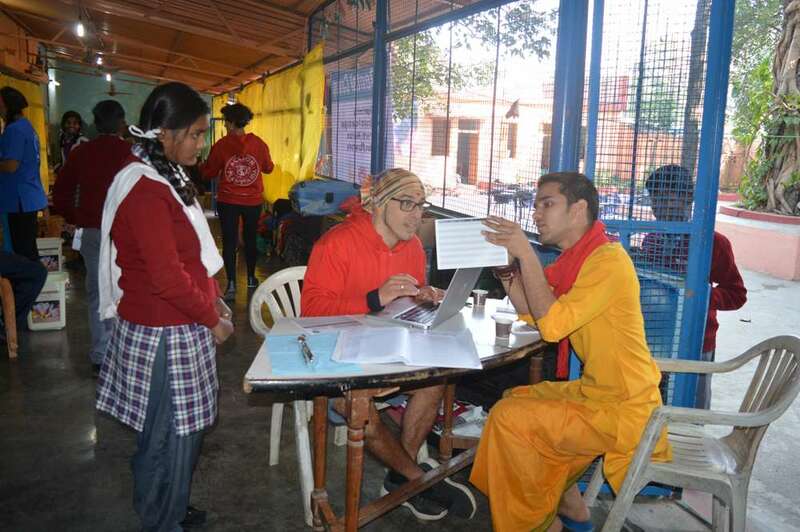 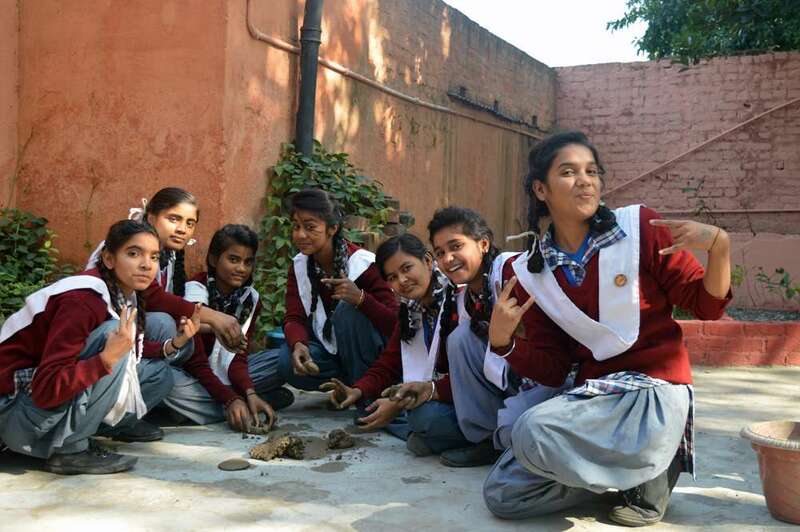 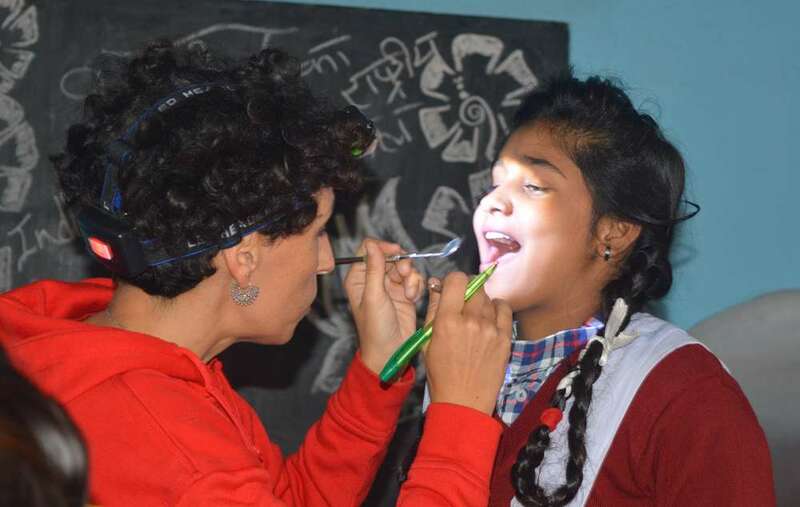 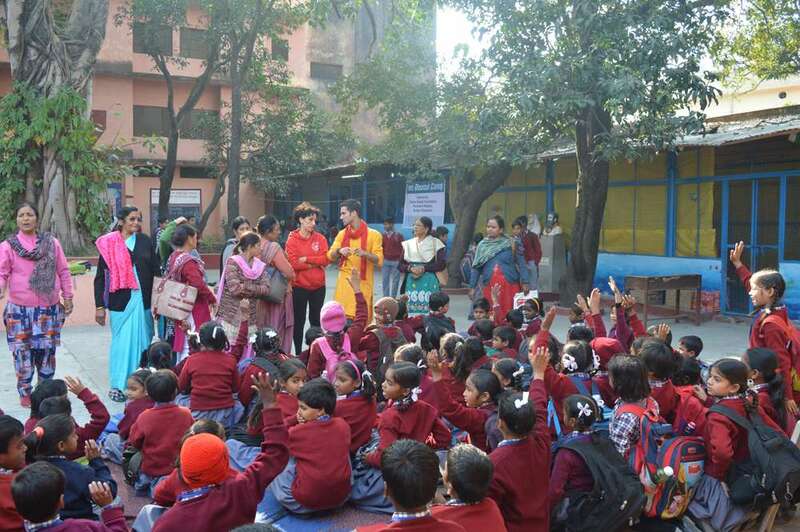 The service project is organized by Divine Shakti Foundation and Parmarth Niketan Ashram with the blessings of Pujya Swami Chidanand Saraswatiji in association with Acción Planetaria​ DSR*, an NGO from Spain which works to improve the environment and the quality of life, with the belief that a better world is possible. 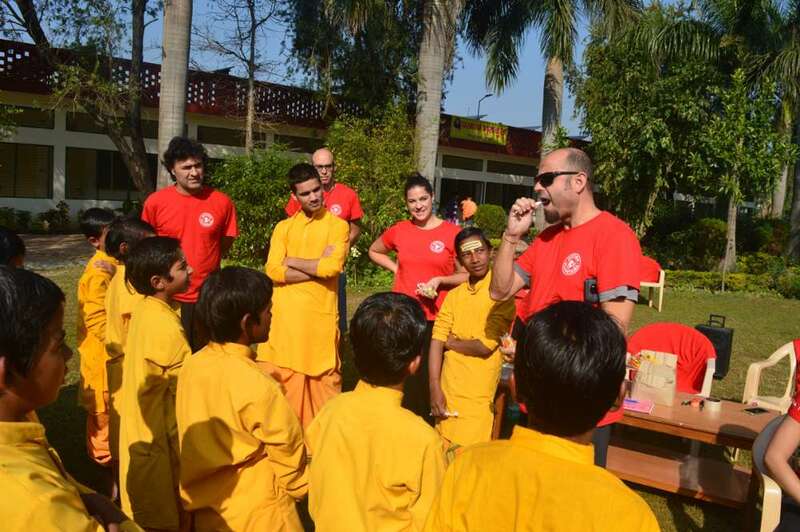 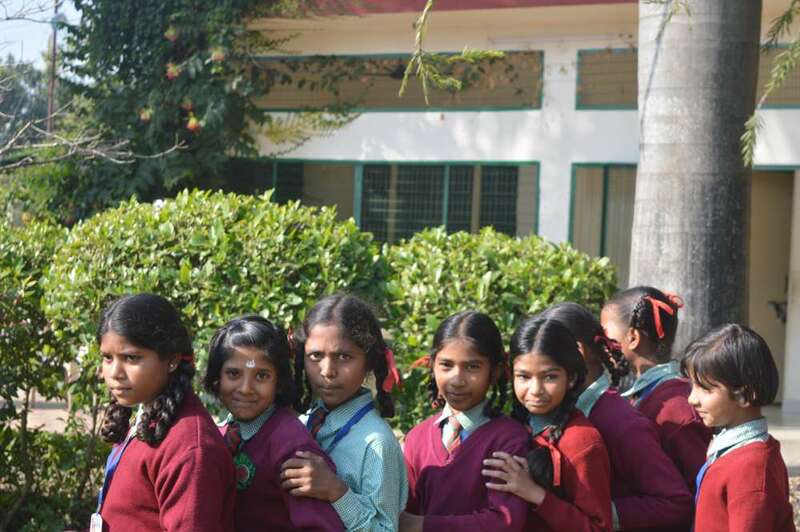 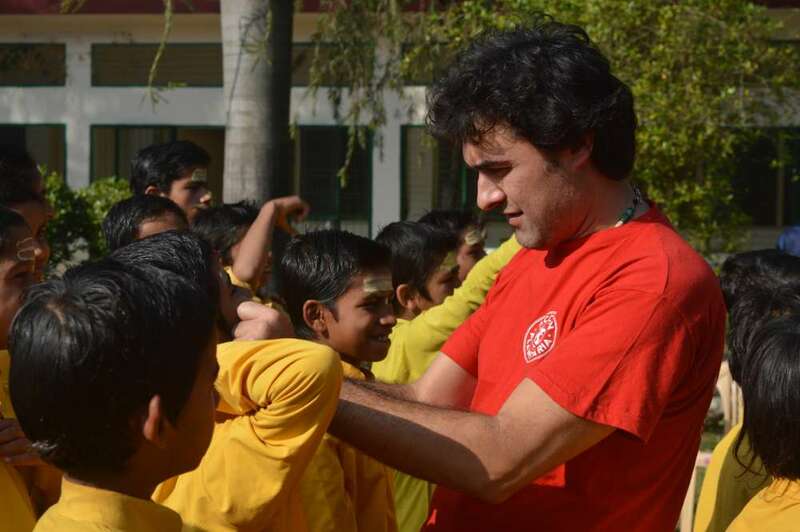 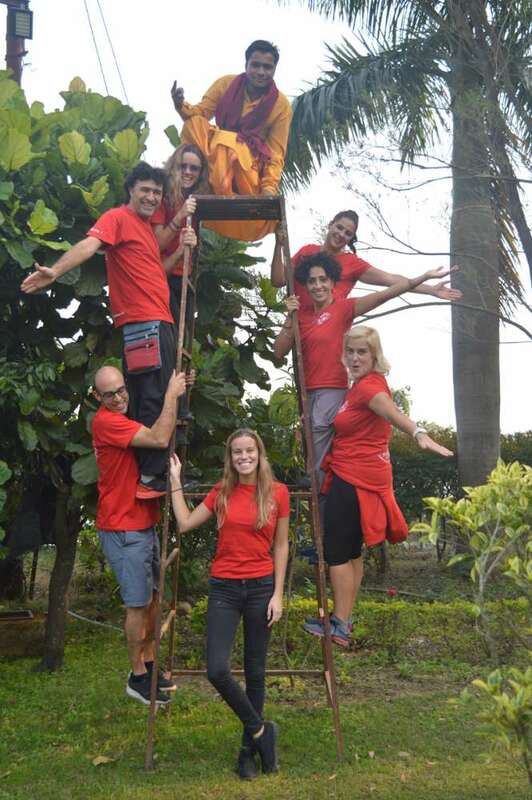 This is their second time in India with the Divine Shakti Foundation and Parmarth Niketan Ashram. 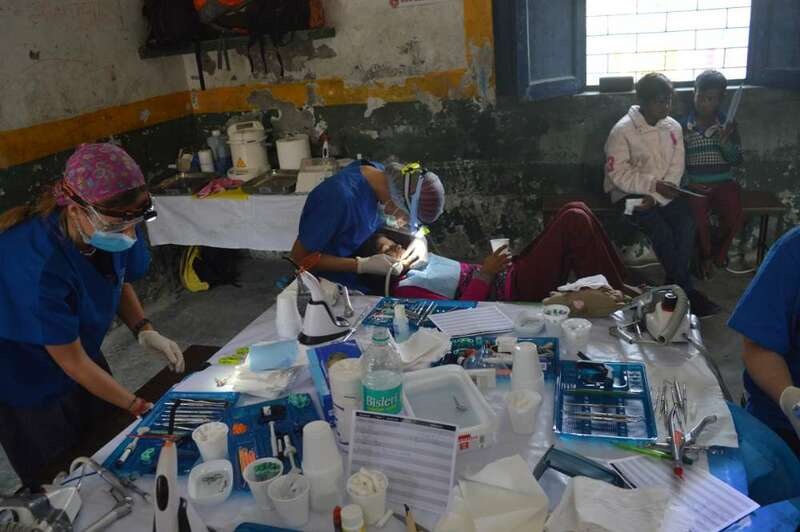 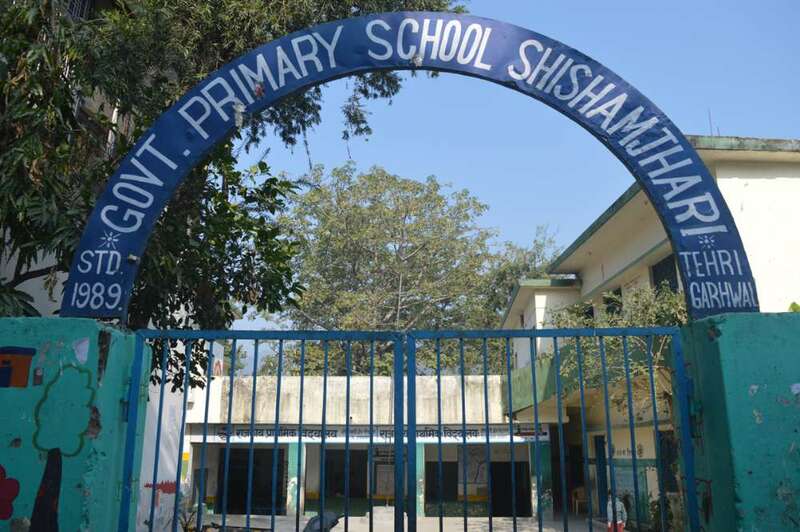 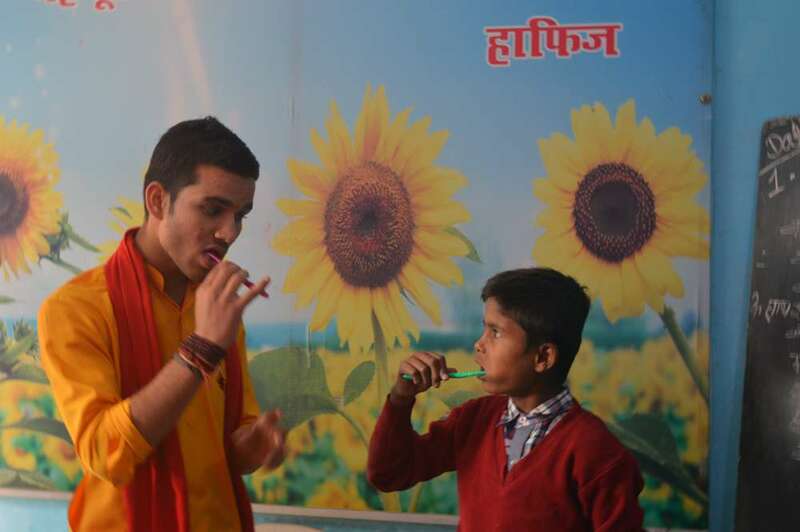 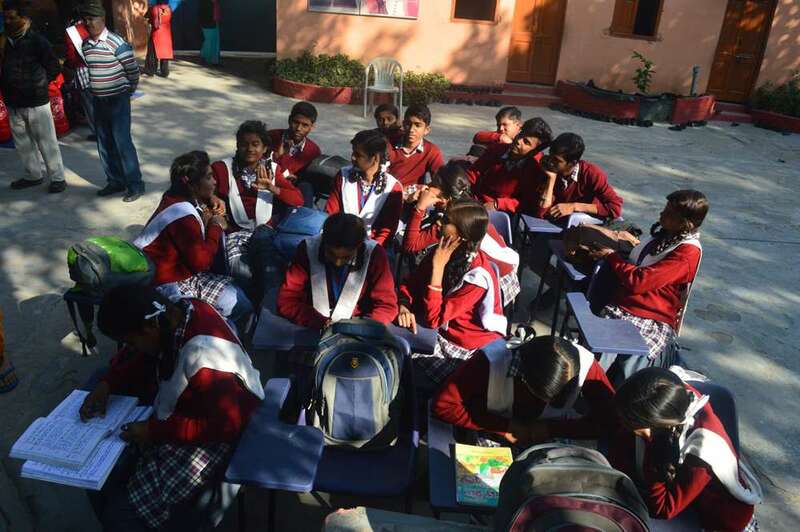 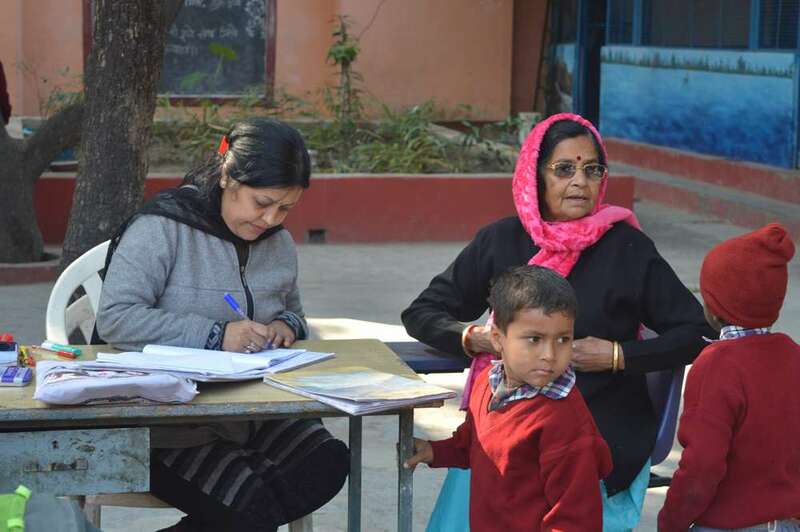 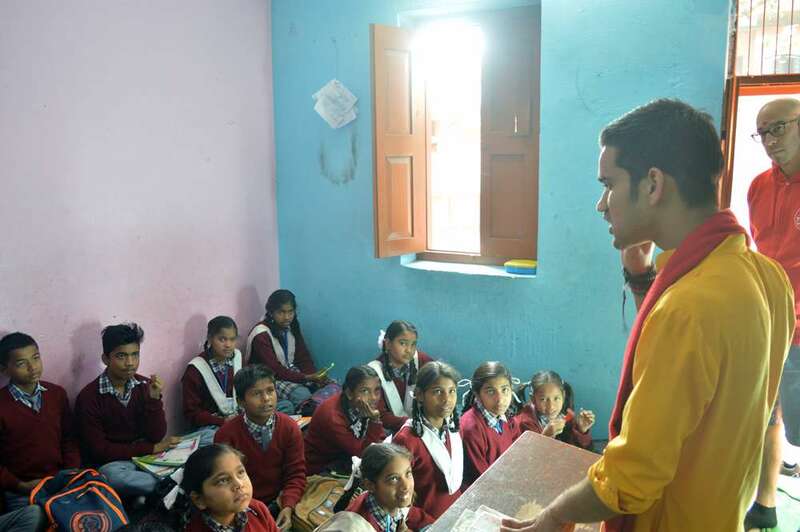 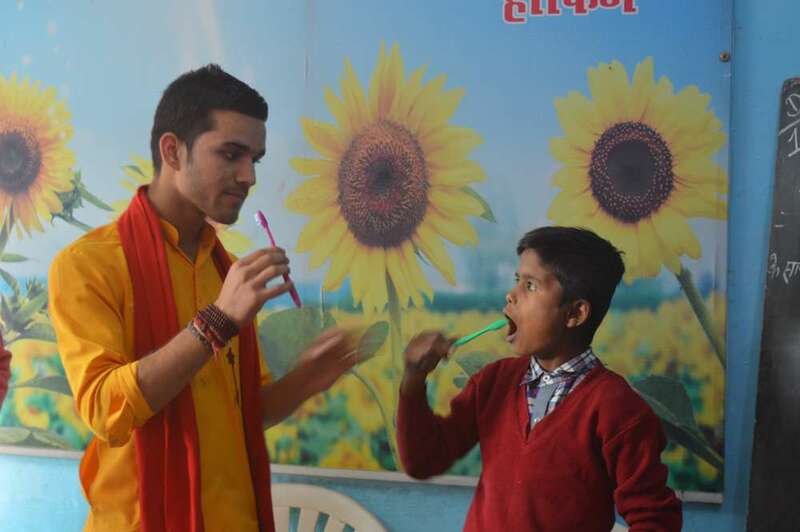 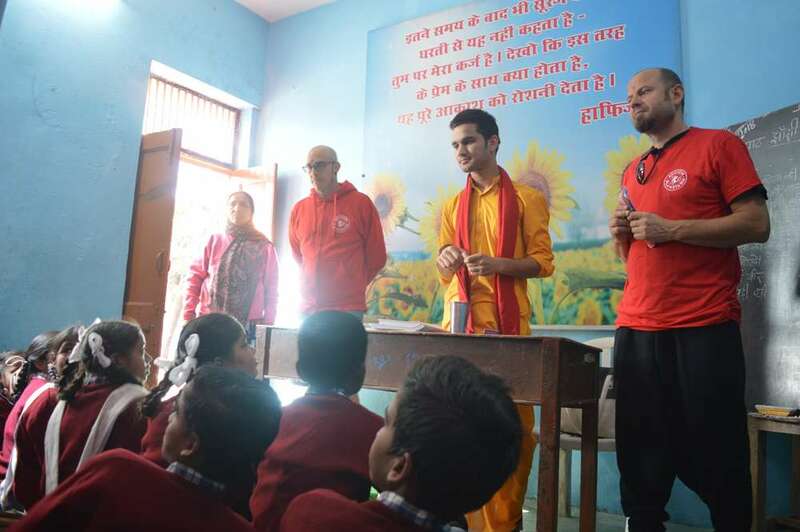 During the course of their dental camps they will have visited in different villages and schools in the vicinity of Rishikesh: Deuli, Veerpur, Prakash Bharti and Kushi Foundation. 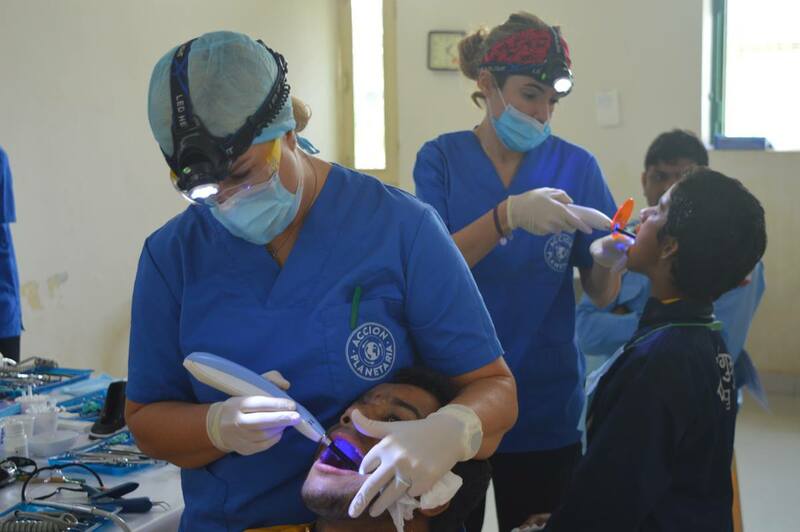 It’s a group of 11 professionals (6 dental practitioners,3 assistants, & 2 logistics). 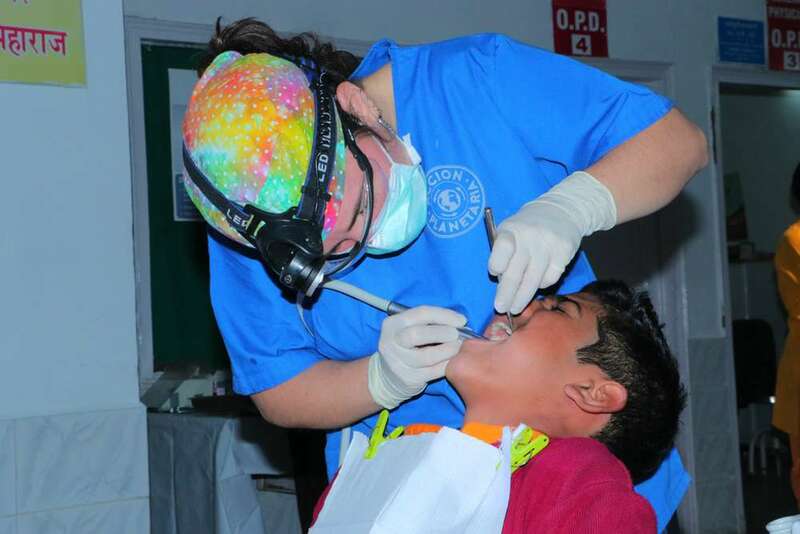 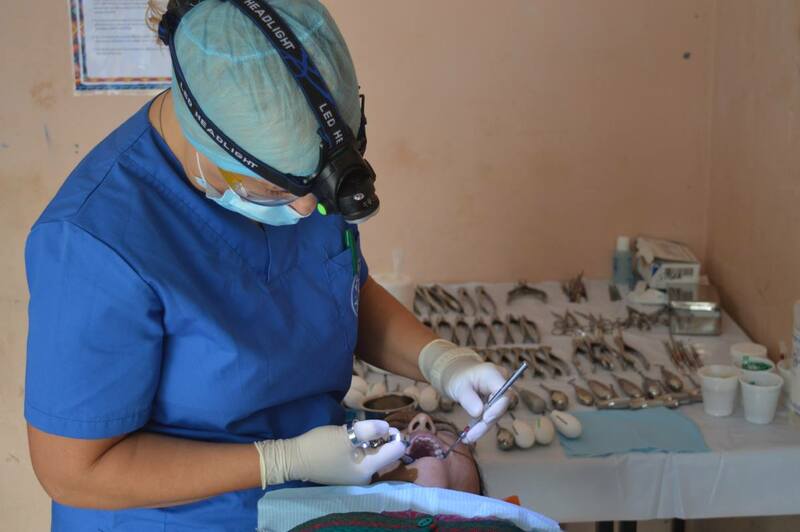 They are prepared to attend to 100+ children and adults a day and the treatments include fillings, cleaning and extractions. 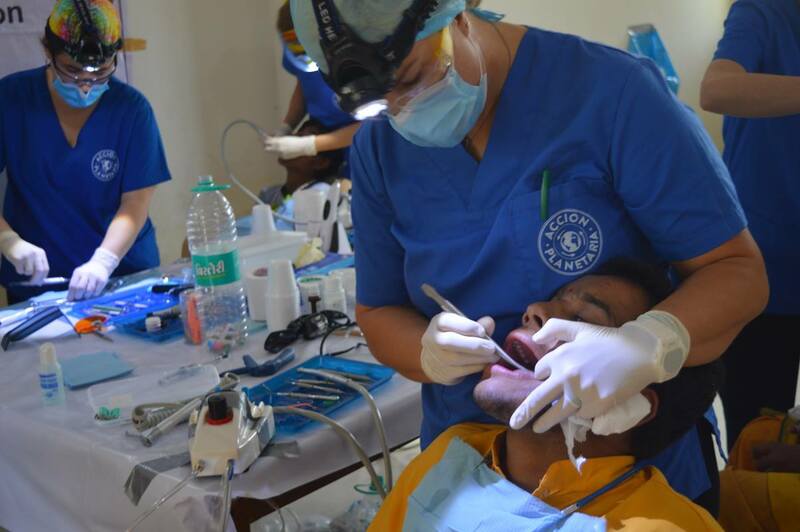 For the large majority of the patients it’s their first time to see a dentist and they all have the same view about the project. 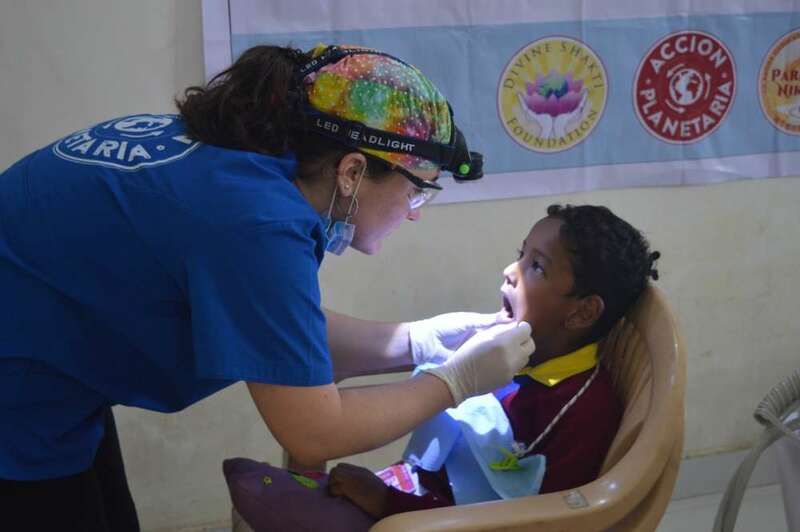 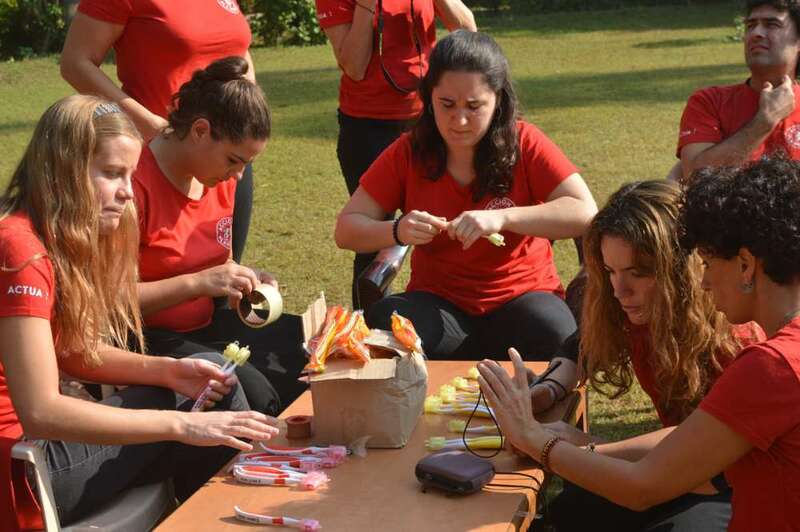 There will also be an educational component so that the importance of tooth brushing is understood and adapted by the children, parents and teachers during this visit and the next. 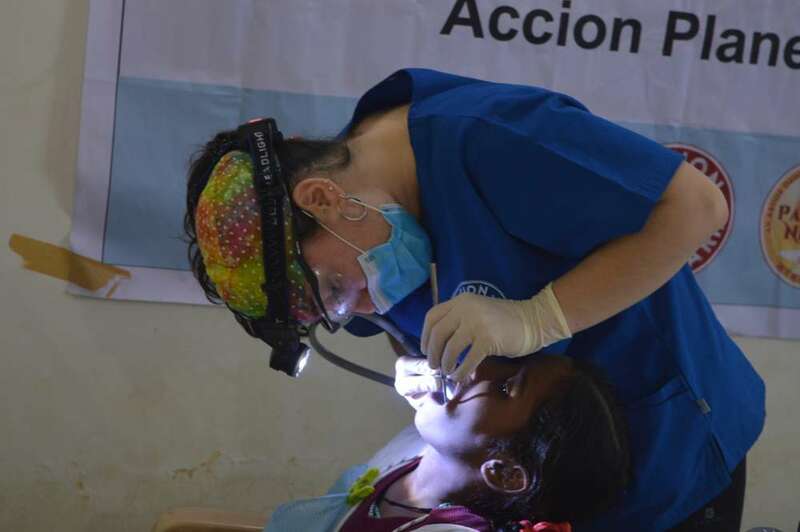 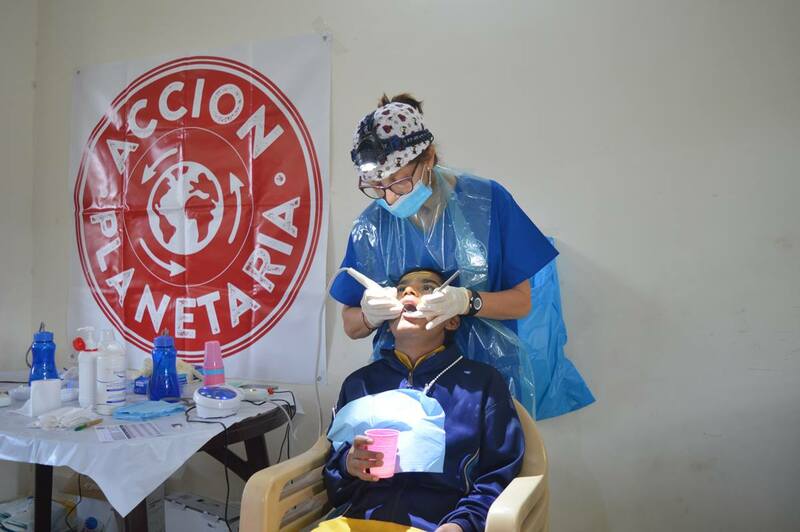 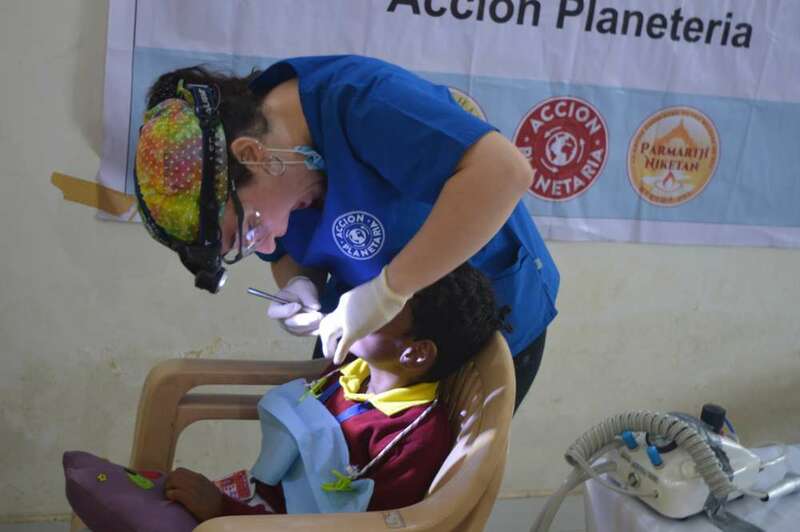 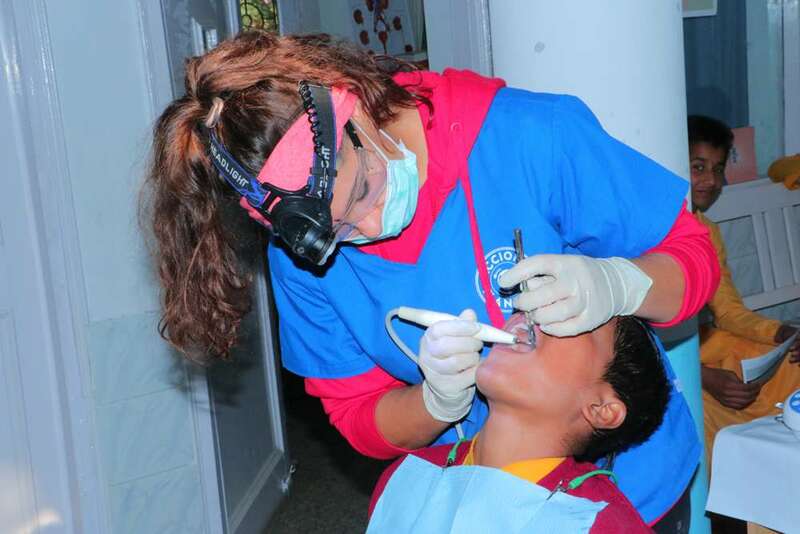 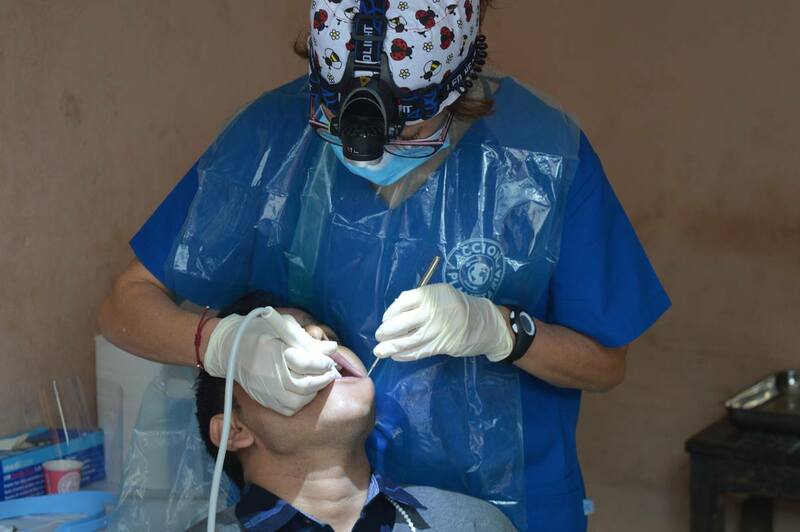 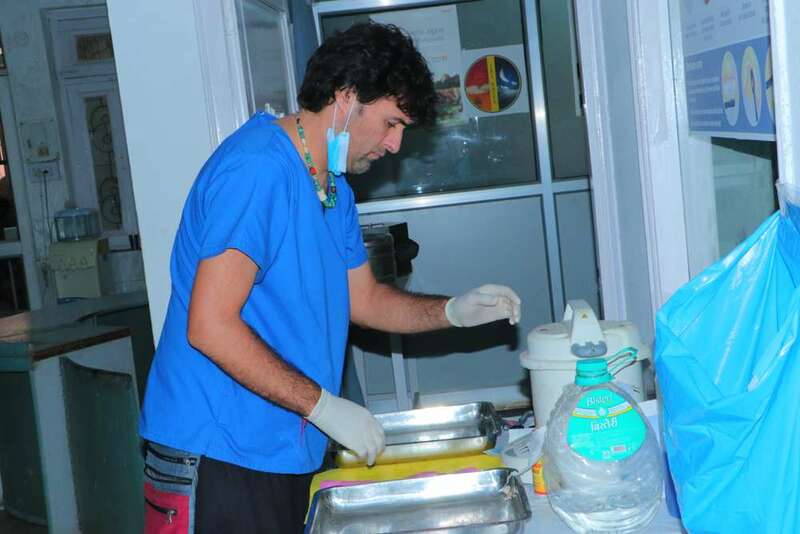 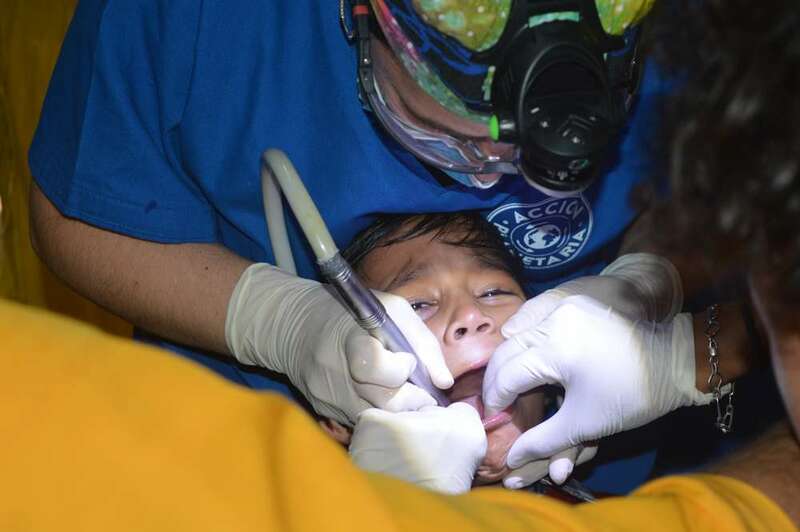 *Acción Planetaria DSR was founded by Christian Vargas, more than 10 years ago, with the goal to offer dental care to impoverished people around the world. 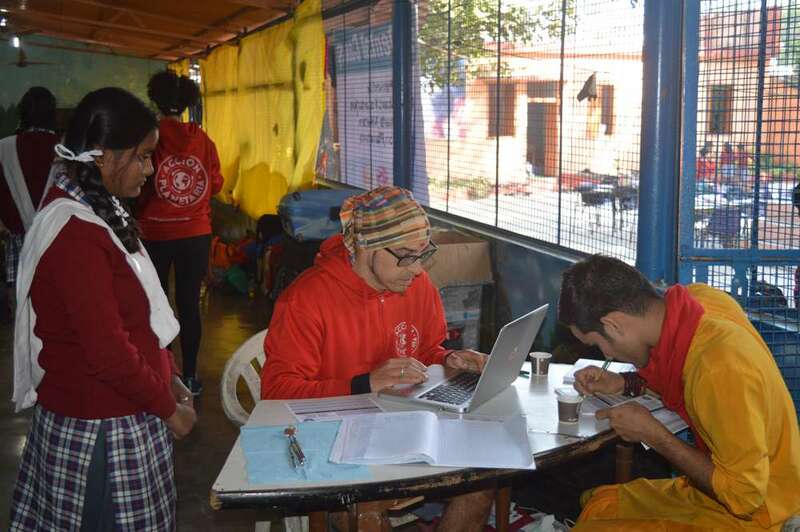 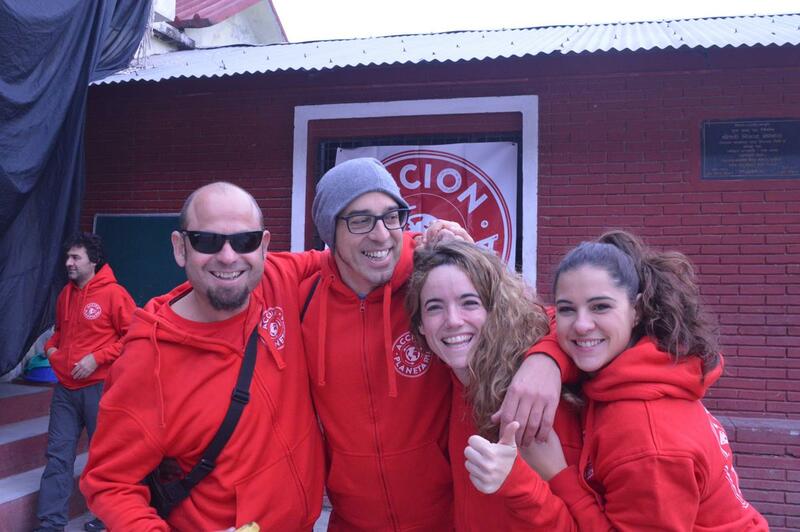 Their first activities were focused on Senegal, Mauritania, Serra Leon, Peru and Barcelona. 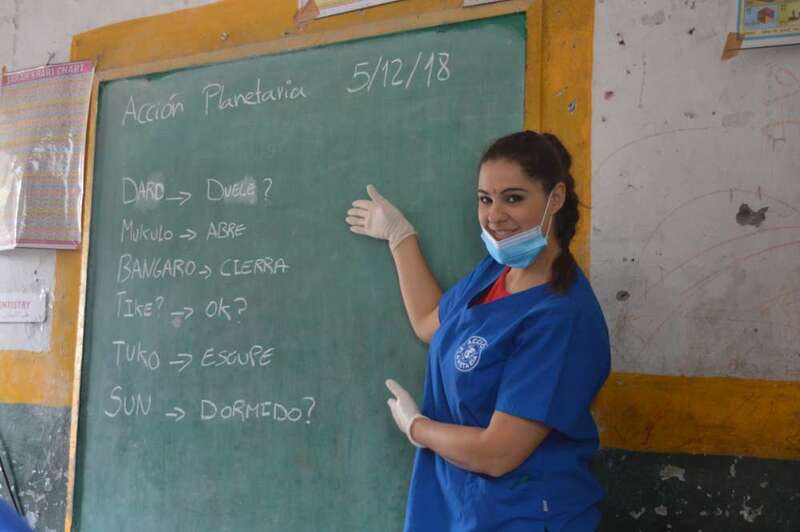 Later, they expanded their profile of volunteering in order to be an open platform for anyone who, through their planetary action, wants to contribute to the construction of a better world.